Empty work bays by early afternoon is not something we like to picture but sometimes is a harsh reality. However, increasing headcount by employing dedicated Aftersales Marketing champions is not always an option. Our unique service gives our clients the opportunity to increase turnover not only with the initial service booking but also with “Service Additions” such as brake fluid changes and VHC up-sell. Working extended hours and using knowledge not scripts, our Team provides the ideal solution to your Aftersales marketing requirements. Predictive call data is either extracted on a monthly basis (we can even advise on the best data to extract & content) or we utilise data from other sources such as iCRM and then our Aftersales experienced team will call each contact maximising conversion rates, retention and turnover. 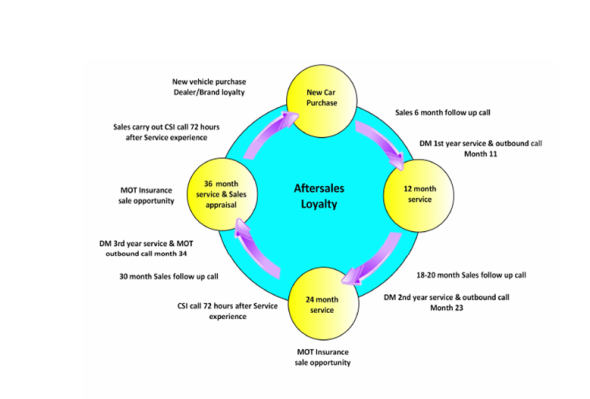 With no additional salaries to pay, no NI contributions, no call costs, no holiday or sickness down time, just commissions on each sale, our clients enjoy the most cost effective way of improving their Aftersales profitability. ISB also offer in addition to the above a customer care programme. Please see our CSI page.